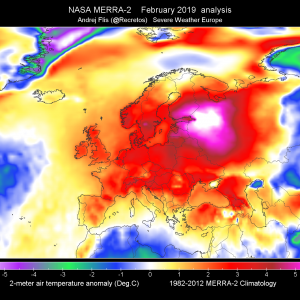 A large long-wave trough is centered over western Europe, while a weak disturbance / frontal boundary crossing the Alpine region. A strong trough / low over northern Scandinavia shifts into extreme NW Russia. 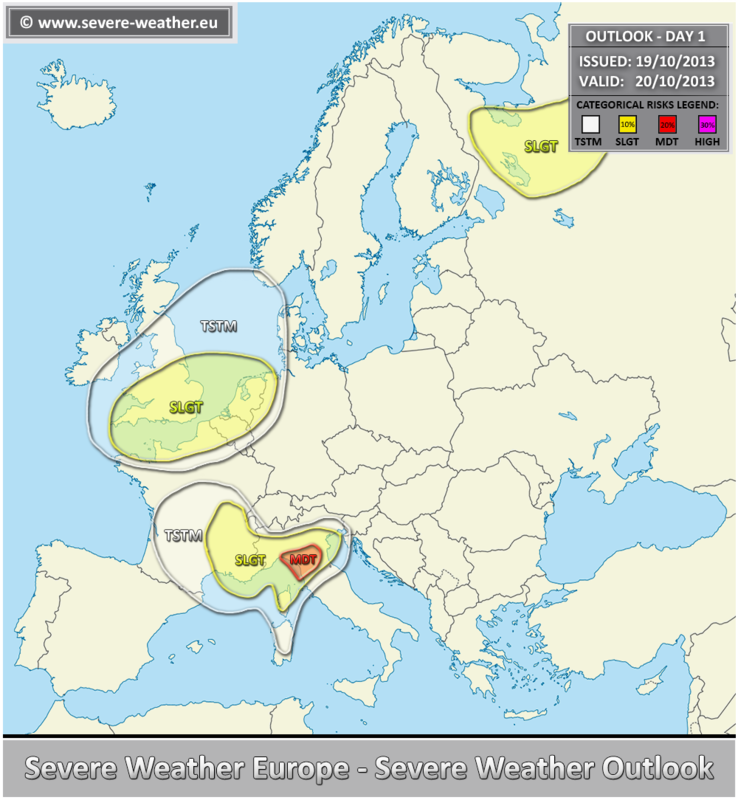 A MDT risk has been issued for parts of north Italy with threat for heavy convective rain with flash floods, tornadoes, severe winds and large hail. 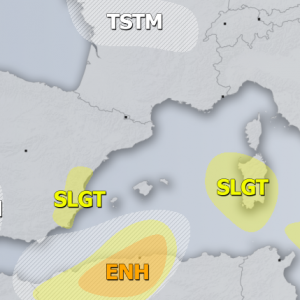 Given the favourable environment with very unstable, sheared and humid airmass, costal areas of Liguria and Toscana have an enhanced threat for flooding and tornadoes. 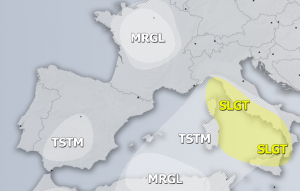 A SLGT risk has been issued for surrounding areas of MDT risk over north Italy into SE France with threat for heavy rain with flash floods, strong winds, marginal hail and some tornado threat. 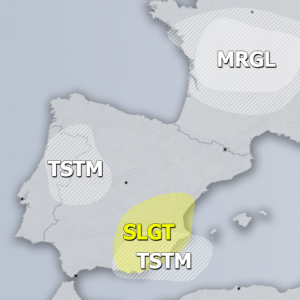 A SLGT risk has been issued for parts of southern UK, northern France, Belgium and Netherlands with threat for strong winds, heavy rain and marginally large hail. 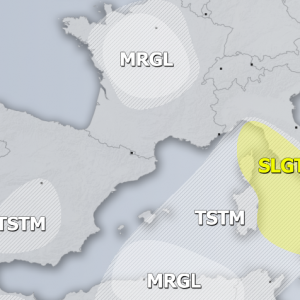 A SLGT risk has been issued for parts of NW Russia with threat for strong to severe non-convective wind gusts in the back side of the strong surface cyclone.